Bonnie Hunter wrote in her “Scrap User’s System” article that our scraps are worth just as much as new yardage from the quilt shop. For me in England, that’s £9.60 per metre, or approximately $14.25 per yard in US dollars. That’s way too much value to toss into the waste basket, and it really gave me pause to think. That is when I started to respect my scraps. A photo of a beautiful quilt made by Mary Johnson, shown here. 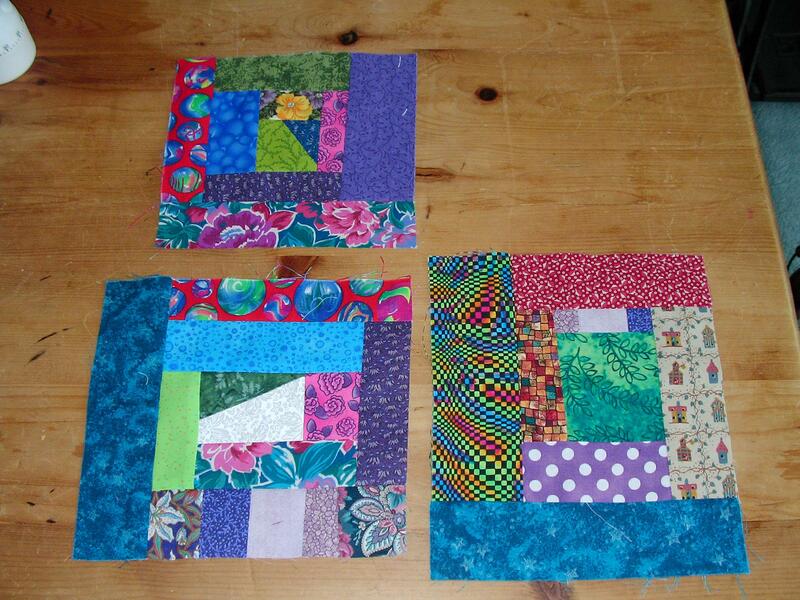 Last week, in between other sewing projects, I started making some crumb blocks of my own. Eventually all the blocks will be trimmed to 8.5 inches square to finish up at 8 inches. I’ve heard several people describe the making of these blocks as “therapeutic,” and I have to agree wholeheartedly. This kind of sewing doesn’t require a lot of concentration, and after about two hours, I felt very happy and productive to have created these little cuties!